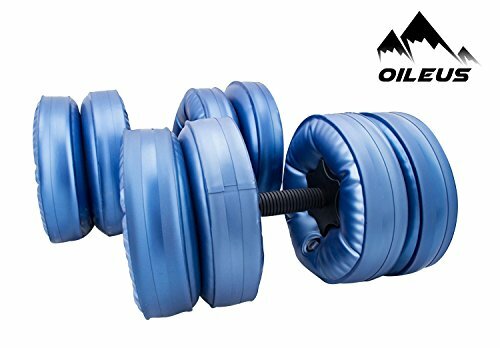 Give you and your families an excellent experience fitness by using the OILEUS water filled dumbbells! · Each dumbbell has 4 dumbbell balls, single ball can be filled up to 0 - 7.7 lb with water. You can start from beginning to the next level easily by simply fill / empty the water to train a single muscle group at a time or different muscle groups simultaneously to develop your strength & muscle gains in arms, shoulders and back. · Portable and easy to fill & empty. Enjoy exercise during the trip/ at home/ at work/ in hotel. · Using extended dumbbell bar with 21 inches (While other competitors only have 13 inches) provides a longer holding space (4.7") which makes it more comfortable to handle. ·100% satisfaction guaranteed and friendly customer service, easy-to-reach support.